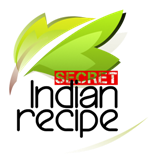 Sona Sinha's Secret Indian Recipe ! Take the slices of fish and wash them thoroughly. Salt them and rub 1 teaspoon of turmeric powder. then add ginger garlic paste ,yogurt ,green chili 2 or as you need,Set aside for 10 minutes. Cut Onions into big slices and add it also.then mix all ingredients with fish and rest it for half an hour after 30 mnt in pan hit the 2 to 3 spoon mustard oil you can use another oil also . Add a little black mustard seeds , red dry chili 1 or 2 ,i tablespoon slice onion in the hot oil. . Stir it for 1 -2 minutes. then Add the fish with all ingredient which you rest for 30 minuite.add 1 cup of water , Add salt to taste, sugar and the remaining 2 chilies.and lat add some green coriander After it Keep cooking 5 -10munite still the fish gets cooked through. Adjust salt and sugar according to taste. Serve hot with rice.